Hi everyone! 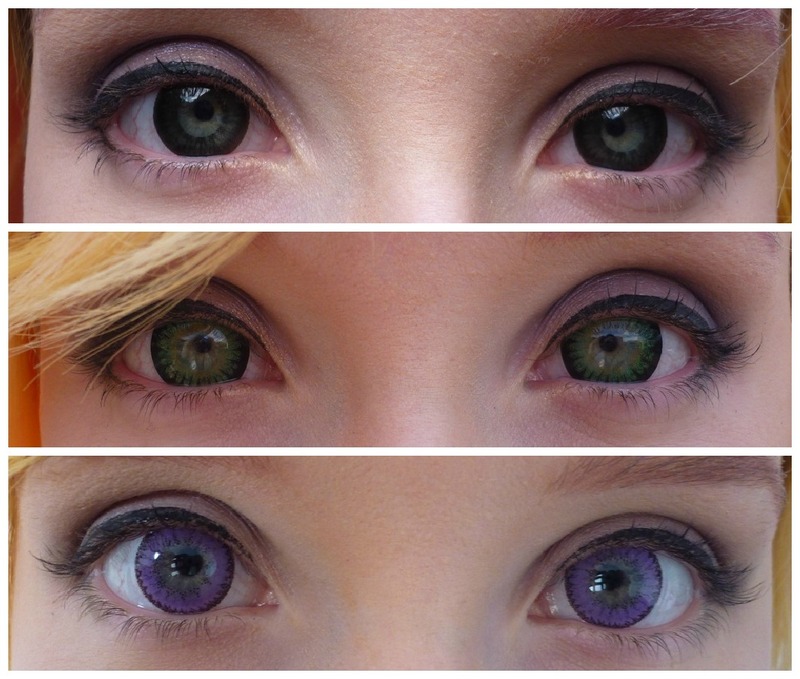 Back in the Summer, one of the world's most popular online contact lense companies Pinky Paradise contacted me to review some of their lenses. Of course I was really excited to, and said I would! I have extremely poor sight, and have a damaged left eye due to crawling into a lit cigarette when I was a toddler. I have to go for regular eye tests, so I decided to try contact lenses at my most recent visit prior to trying out these guys. Unfortunately they didn't work out for me, as my eyes went absolutely NUTS anytime I attempted to put a lense in with the optician/ by myself. I was told my body remembers the shock it went through when the accident happened, so it's going crazy out of defense. I was devastated, as glasses have become quite a hassle in my life and I really dislike wearing them. I gave up attempting to wear the contact lenses for now, so I obviously couldn't try these gorgeous Pinky Paradise lenses. My best friend Sarah wears contact lenses regularly, so I gave her the lenses to try out and she loved them. She tried out a black, green and lilac pair, and they looked amazing on her! Here's Sarah's guest review, and you can check out her Tumblr here if you want to! Enjoy.. There isn't much that can be said about a pair of contacts; they're usually pretty to look at ,and either comfortable to wear or not. But with these contacts, there isn't much to say because I couldn't find anything to fault them on. Anyone who has worn contacts before or wears contacts, knows that it isn't the easiest thing in the world to put them in: they're small and slipperey and sometimes they're so soft, they stick to your finger instead of your eye. Of course this all happened to me when I was first putting in these contacts and I know it happens to everyone else as well! For me I had to relearn several techniques of how to put in contacts, and although I had worn contacts before, they had been cheapish quality ones that lasted for a month or so - which was not the case with these circle lenses! Firstly, they're much better quality contacts than I've ever had before. But also, circles lenses are quite a bit bigger than ordinary lenses and therein lies the challenge they come with. It was a nightmare the first time I tried to put in the first pair, but I can't blame the lenses for this, only my average-sized eyes. But I tell you, when I eventually did put the first pair on, they were so incredibly comfortable! My memory of wearing contacts before is that they were not extremely uncomfortable, but they did irritate my eyes. They never quite sat right and I could feel them every time I blinked. They often liked to move around and make me look crossed-eyed or like I had a lazy eye; not the effect I was going for. But that's definitely not the case here! These lenses did most of the work themselves, as soon as they were on my eye they adjusted to fit there. Of course, you have to get used to having something sitting on your eyeball, and although at first I could feel them there, they didn't irritate or move around like cheaper contacts are want to do. After I'd only worn each pair maybe twice or three times, I couldn't feel them at all they are so comfortable! Maybe it's because they're such soft lenses. Honestly I thought circle lenses would be awkward and irritating to wear for a long time, especially considering their size, they really shouldn't be so comfortable, like they're not even there! But I was proven wrong here and I'm so glad about that too. I definitely won't be buying cheapo contact lenses ever again, they're not worth it when I could buy circle lenses like these instead!